Why do I love this alternate form of lodging? Because it lets you stay in the heart of the action, where the locals live and play — usually for less money than a hotel. Airbnbs are usually roomier, which is great for traveling with kids, and they often have kitchens, which significantly reduces your food costs. Some allow pets. And if you’re traveling alone, it’s sometimes nice to stay with a host who can offer conversation and advice. Most importantly, the listings are unique. Many of them offer oodles more character than your average chain hotel. Just scroll through this list of the most unique Airbnb in every state for less than $100 a night (excluding fees). Some are self-contained units; some have private bedrooms along with shared kitchens and bathrooms. Some are in the country; some are in the city. Some are rustic; some are modern. All of them are unlike any hotel you’ll find. Two rocking chairs. Two lakes. 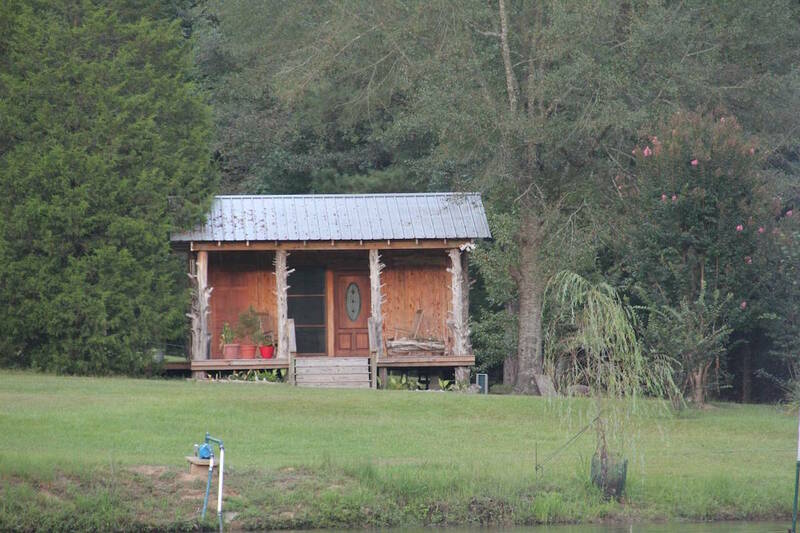 One relaxing getaway at this rustic cabin on Heaven Puff Farms in Vance for $75 a night. You’ll be able to hike around the property’s 20 acres, and even try your hand at catching a catfish! I wanted to save the best for last, but this list is alphabetical… so this $85-per-night yurt is making an early appearance. It’s located a few miles from Talkeetna, a village at the doorstep of Denali National Park. It’s heated by a woodstove and has a dome through which you can view the starry night sky. 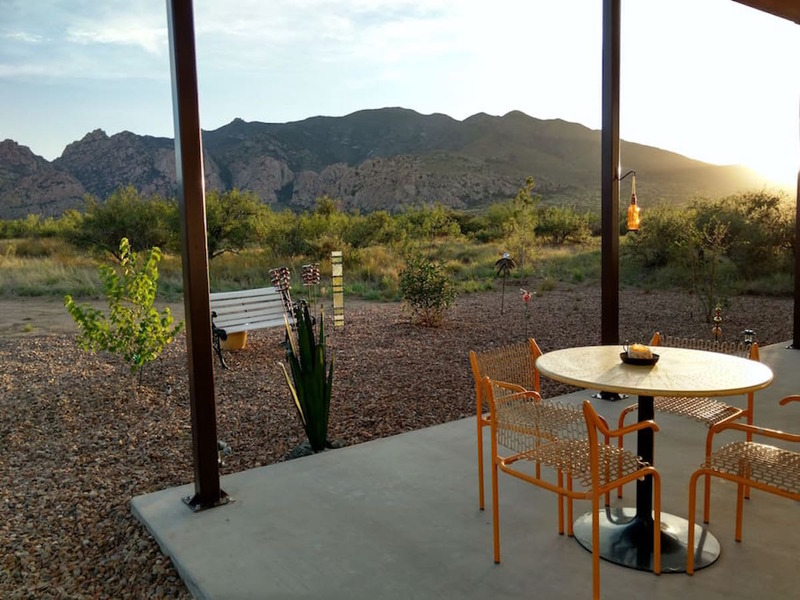 Enjoy the desert’s vast beauty from this casita at the base of the Dragoon Mountains. For a bargain $50 per night, you’ll have this comfy little “nest” all to yourself — only sharing the views with some local wildlife. Experience tiny living for $83 a night in the Arkansas woods in this tiny tree house. For a small house, it’s nicely renovated with a modern appeal. Bonus? The hideaway bed is memory foam. I want to move into this tiny house and never ever leave. It costs $70 a night and is gorgeous on the inside. 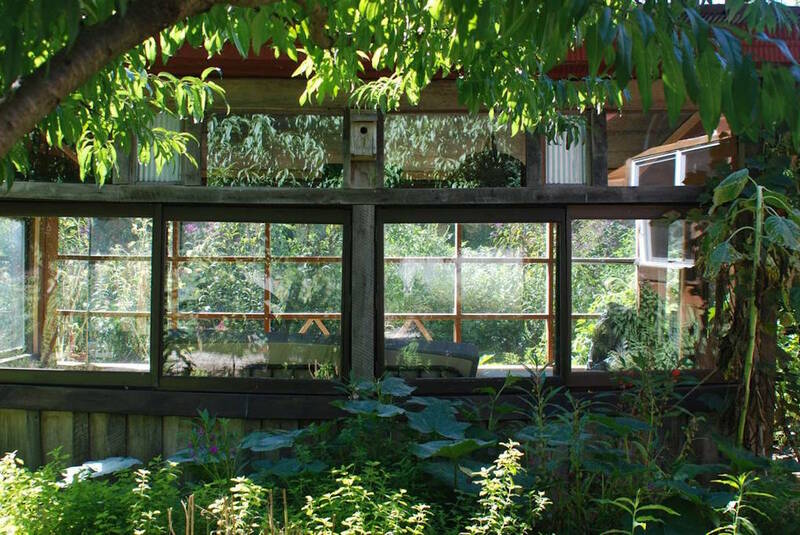 Located in the hippie oasis of Berkeley, you’ll also have veggie gardens, chickens, fruit trees and a rope swing as your backyard companions. Ever stayed in a “solargon” before? Me neither. But there’s a first time for everything, and this cottage in Paonia even received an award for its sustainable design. Wow! You can sleep 8-10 people for $65 a night in this converted barn loft in Willington. That is, if you can tear yourself away from the adorable baby animals — it’s located on a working farm. You can also buy some eggs to cook for breakfast in your very own kitchen. I never dreamed of staying on an alpaca farm… until now. For $98 a night, you can stay in this private room overlooking a herd of silly alpacas. At only $55 a night and 45 minutes from Disney World, it’d make for an adventurous stay in the Sunshine State. I have few good memories of riding the bus as a kid, but this converted school bus in the heart of Atlanta might change that. This listing calls itself “glamping at its finest,” and I’d have to agree. At $41 a night, it’s also pretty affordable for the Aloha State. You and your boo will be able to sleep in side-by-side hammocks and enjoy the cool breeze — free of bugs, thanks to the screens. You’ll also have access to an open-air bathroom and outdoor kitchen. Another state, another yurt. Look at those stars — I just couldn’t resist. 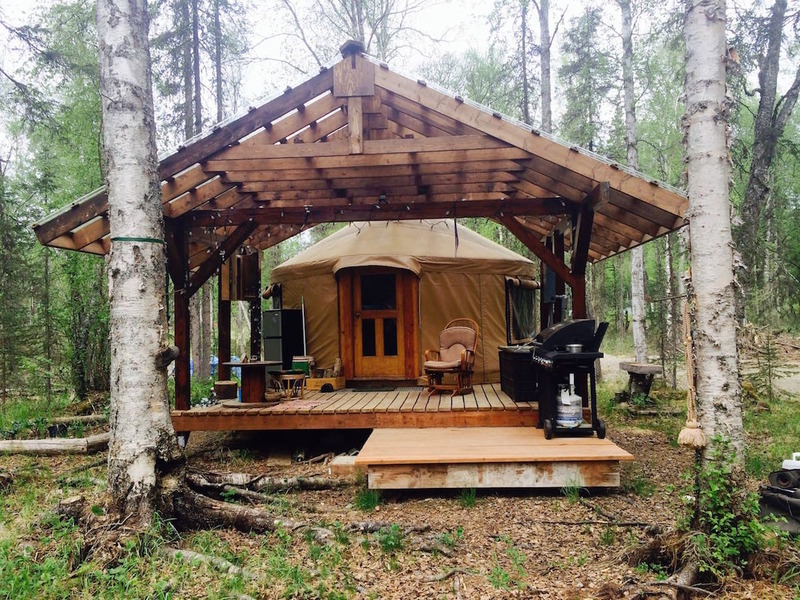 This cute yurt is tucked among the birch forests near Sandpoint and costs $66 per night. It has its own wood stove — and if you’re lucky, the hosts might prepare the wood-fired hot tub for a late-night dip. 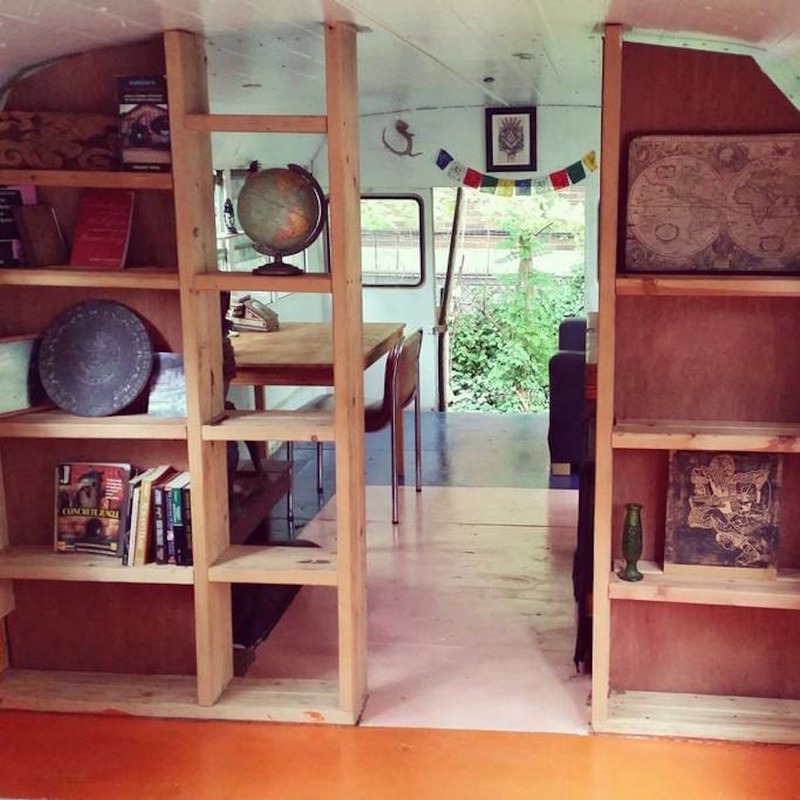 The ceiling of this converted school bus is making me drool: It’s hewn with hand-milled lumber from the hosts’ farm. And to fulfill your (OK, my) childhood dreams, it has a reading nook! For $49 a night, you’ll enjoy lake views and easy access to the Shawnee National Forest. It’s super simple, but that’s kinda the point. 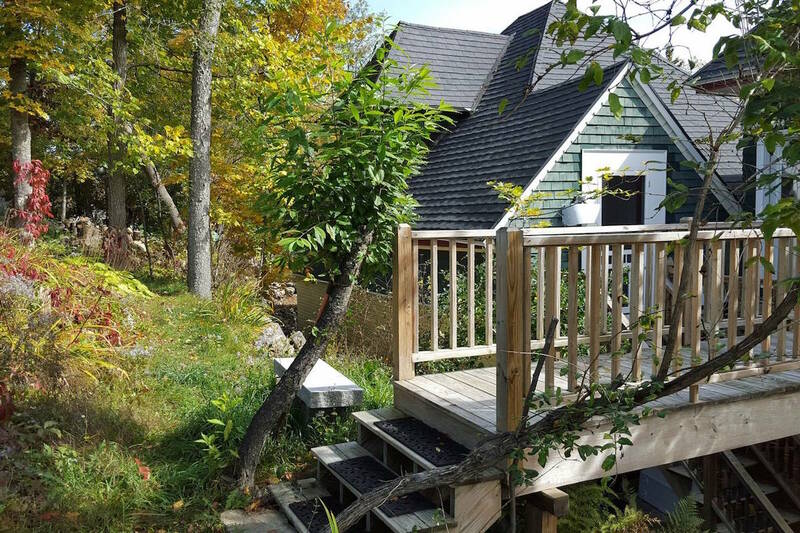 At $50 a night, it’s just a place to sit back and enjoy foliage and sunshine in abundance. Have you ever slept in a barn silo? 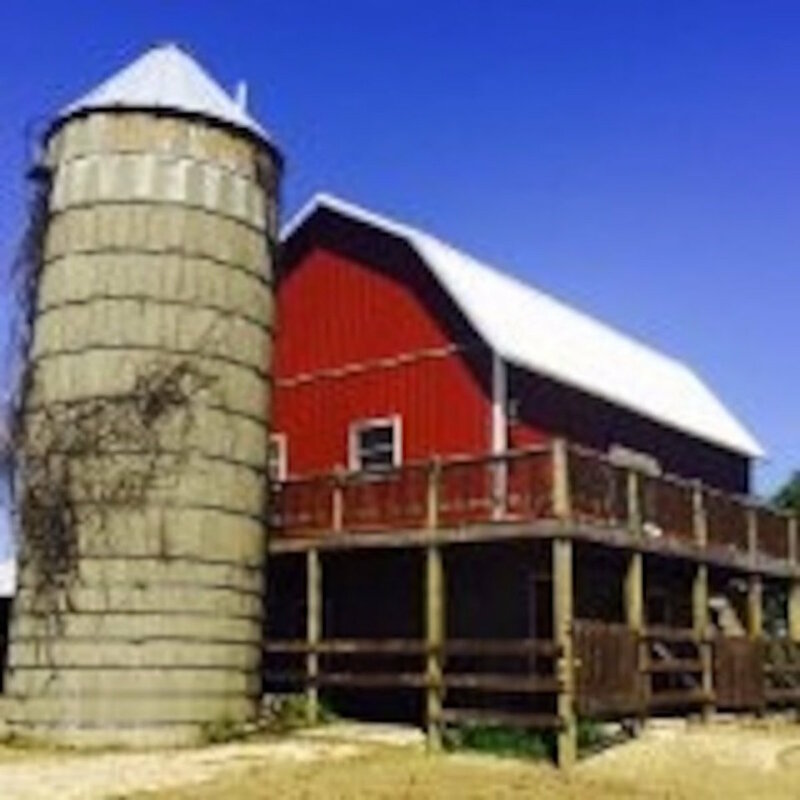 Well, here’s your chance: This converted silo in Decorah is just $70 a night. Its two floors are HGTV-rustic — and the skylights on the second floor are just stunning. Could anything be more fitting for your time in Iowa? Straw-bale walls and adobe floors are what you’ll get at this gorgeous and airy cottage on the prairie. Ooh, and breakfast with eggs from the resident chickens. It sleeps up to four people for $59 a night, and is just 15 minutes away from Lawrence and KU. Fly high above the ground by staying at this funky tree house in the Red River Gorge geological area. You’ll need to hike for 10 minutes to get to your secluded perch, for which you’ll pay $85 a night — and get the chance to truly unplug. Book this (book) loft in a historic warehouse in New Orleans, and you’ll be within walking distance of the French Quarter. For $69 a night, you’ll have your own bedroom and bathroom, plus a shared living room and coffee bar. 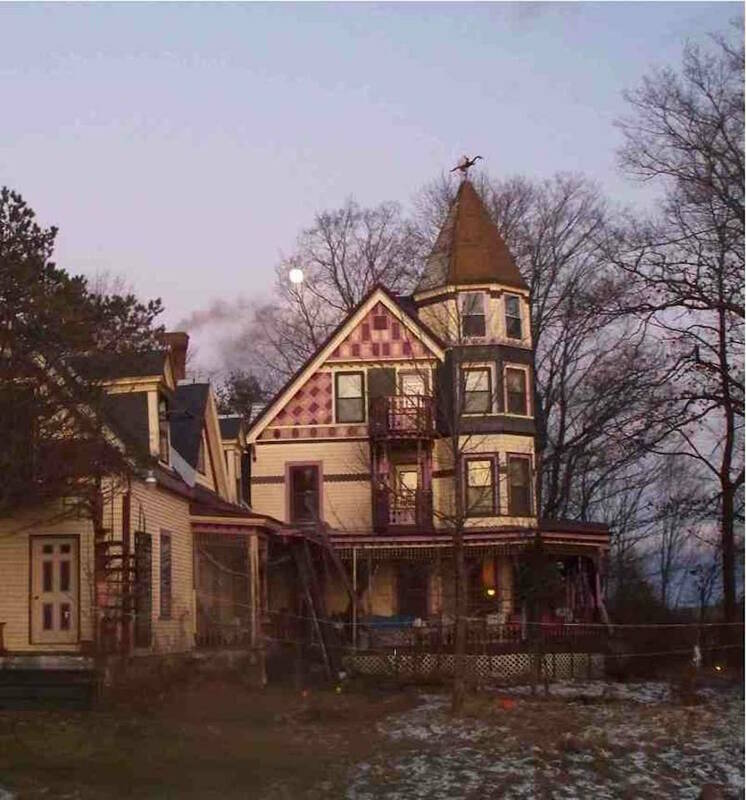 Just the photos of this Victorian mansion give me the chills. If you’re up for a haunting experience, dare to rent your own room here for $40 a night. The estate is located in Guilford — and it’s on the National Register of Historic Places! Anyone who’s been to DC knows it ain’t cheap. So staying in this enormous RV in Clinton for $60 a night is a pretty good deal. You’ll have your own bathroom, bedroom, kitchen and outdoor sitting area — and will be just 10 minutes away from a metro stop. Shh… what’s behind that secret panel? It’s a Revolutionary War escape route from your room in this historic home. Built in 1699 and furnished with antiques, this listing in Sandwich ($75 per night) is the perfect place to live out your historical fantasies. Get the best of both worlds when you stay on this beached “boator home” in Montgomery’s Amish country. For $30 a night, you’ll have the boat, plus access to a shared bathroom. The hosts say the area is free of light pollution, so you’ll also have the whole night sky to enjoy! “The Manor” is a fitting name for this $49-a-night property in St. Paul. Not only does the outside look like a miniature castle, the interior is beautifully detailed. Your room will be private, but the kitchen, bathroom and courtyard are shared. Bonus: You’ll also get to play with Scorch, the host’s adorable doberman. Heading to an ‘Ole Miss game? 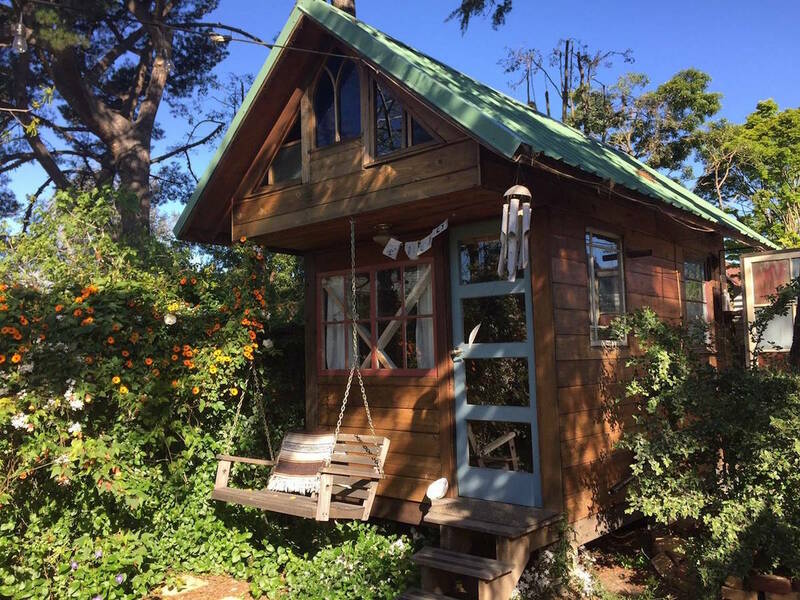 Then this cute cottage, which rents for just $60 a night, might be the place to stay. It’s clean and cozy, close to campus and has everything you need for a weekend getaway. Have you heard of “hammping”? Don’t worry; no one has. But this Airbnb in the woods of Park Hills claims to be America’s first “hammpground”. You and three of your friends can float above the air in covered hammocks for just $39 a night. In addition to complete tranquility, the hosts provide free firewood, marshmallows and breakfast. How are we more than halfway through and haven’t had a log cabin yet?! Thank goodness for this one nestled on 48 acres in Lolo. It costs $55 per night for the entire unit, which includes one queen bed and one sofa bed, plus a kitchen, bathroom and propane stove. A tiny house. On a goat farm. I’m not sure I could love this listing any more. Located in Omaha, tastefully decorated and clocking in at $75 a night, it sounds like an absolute dream. Live out your Oregon Trail days in this covered wagon on a ranch in Sandy Valley. For $75 a night, you’ll get to sleep in a cozy bed, and in the morning, enjoy a hearty breakfast with farm-fresh eggs. Best of all? No one will die of dysentery. This charming carriage house, located behind the historic 1895 Rand House in Canaan, is close to hiking trails and Dartmouth College. For $77 a night, it’s also roomy; it has two bedrooms and can accommodate six people. So Jersey didn’t have a ton of unique options in our price range, but it did have a shocking number of affordable listings within a stone’s throw of NYC. Take this attic listing, for example; it’s located in Newark and is a mere $36 a night. When you’re in New Mexico, you stay in a casita. Like this adorable one in San Miguel, which is 110 years old and has a cute vine-covered patio. It also boasts exposed rock walls, original wood floors, a private bathroom and kitchenette. All for the reasonable price of $75 a night. Beanbag beds. 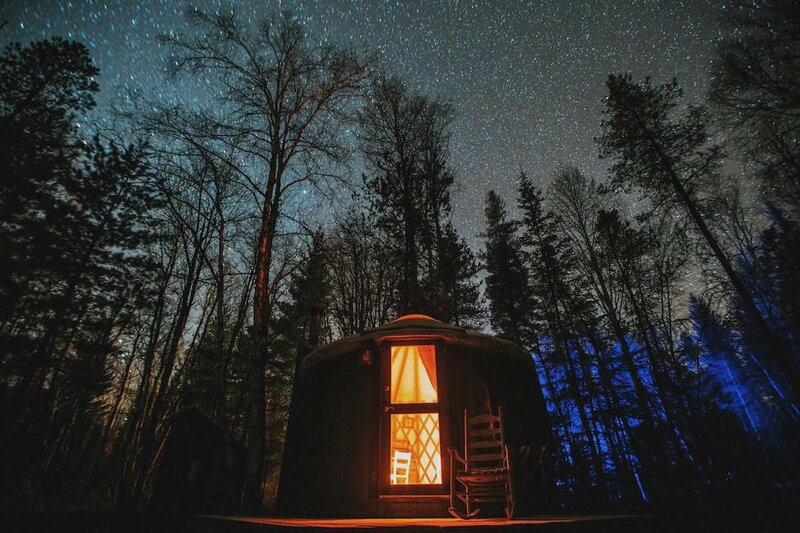 This $60-a-night yurt has beanbag beds AND a clear dome through which to view the stars. You’ll be steps away from a swimmable lake, and free to roam the rest of the 90-acre holistic retreat center and farm. Organic meals are also available at an extra cost. Have you ever been to a hotel that lets you bring your own horse? Because this cabin does. Located on a farm in Dunn, you’ll pay $45 a night for your own private getaway. You’re welcome to bring your horses or your dogs — but if you don’t have any of your own, you can say hi to the host’s in the morning! 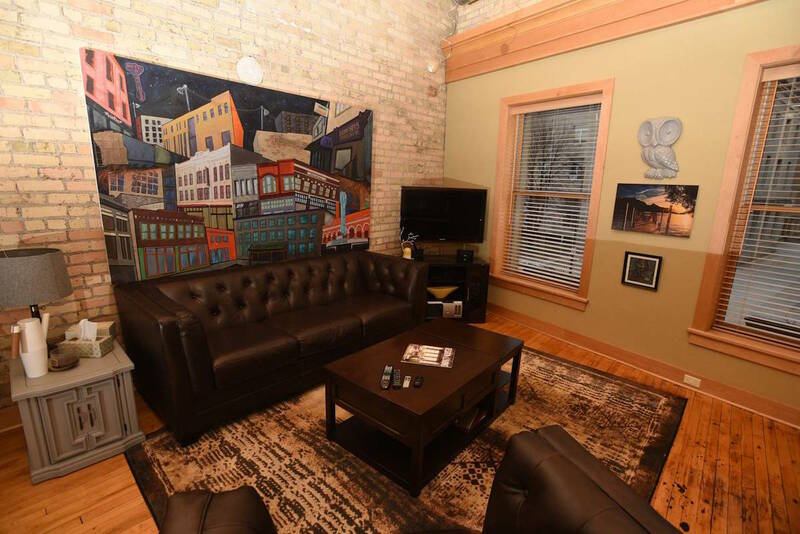 “Modern” and “trendy” probably aren’t the first words that come to mind when you hear “Fargo,” but this downtown loft might change your opinion. With exposed brick, nice decor and your own bedroom and bathroom, $79 a night doesn’t sound so bad. I might go just to hear the accents. Why stay in a characterless hotel when you can stay in this pink church just minutes from downtown Columbus? The former podium houses one of the bedrooms, and an old pew makes up part of the dining table. It’s a unique stay for $90 a night. 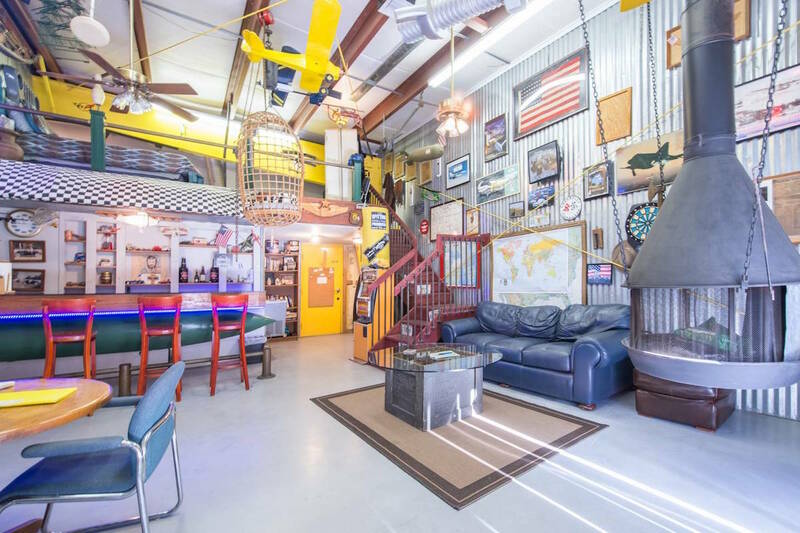 If you’re headed to OKC, this garage apartment is worth a look. You’ll have the sleek, modern studio all to yourself, and it’s in a walkable, historic neighborhood — so at $59 per night, it seems like a pretty screamin’ deal. 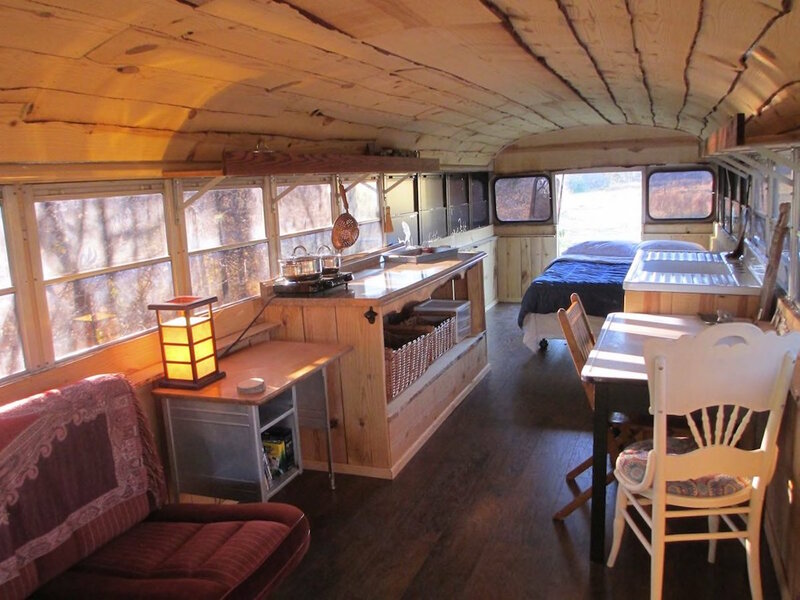 For $50 a night, this 1952 International Metro bus in Ashland can be your cozy abode. You’ll have exclusive access to the bus (and its queen bed) plus a small deck. The toilet is outdoors, and the kitchen is shared with the main house. Calling all train lovers… this vintage caboose is ready for you. It costs $62 a night and is located at the trailhead of the future Rails to Trails hiking path in Lock Haven. Not only has it been beautifully restored, it’s also been retrofitted with a toilet, shower and small dinette! Want to camp — without lugging all your gear on a plane? 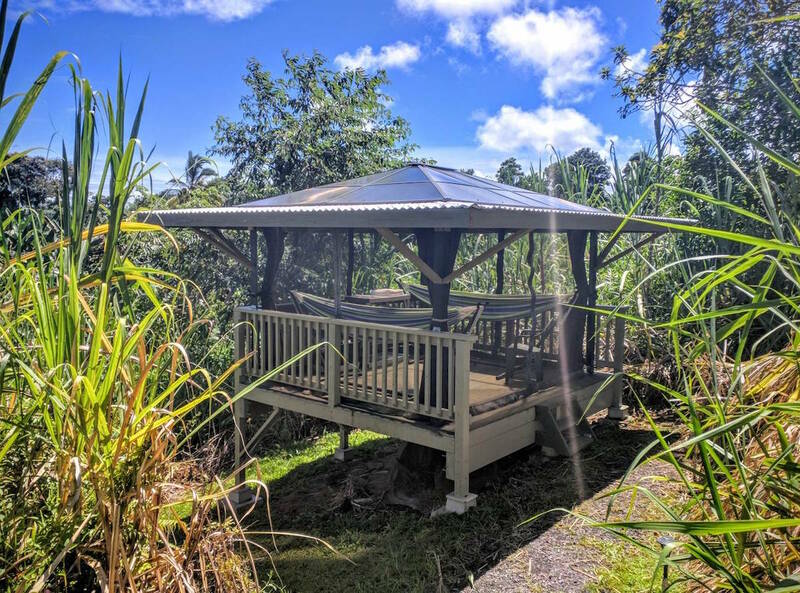 Book this wooded tent platform, which comes with a covered tent and mattress, as well as access to a fire pit, indoor toilet and hot outdoor shower. 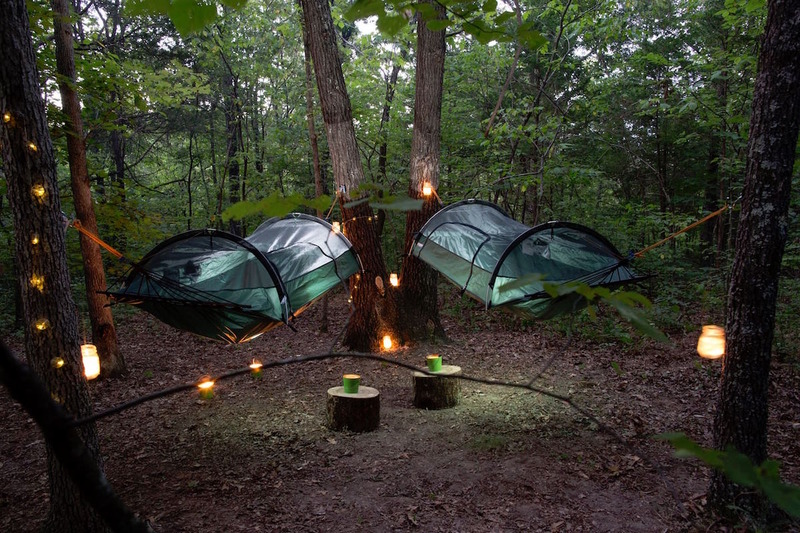 It’s located in a wooded backyard in Kingstown and costs $40 a night. I know this list has already included a few school buses, but this one on John’s Island might be my favorite. Just look at the cozy interior! And the bamboo! For $68 a night, it’s not the cheapest bus on the list, but still might be worth it. When you book this listing bordering Custer State Park, you’ll have a cabin on Ghost Canyon Ranch to yourself. For $75 per night, you’ll enjoy a clean cabin, big breakfast and some QT with the family goats and horses. Honeymoon-worthy, for sure — and swoon-worthy, too. 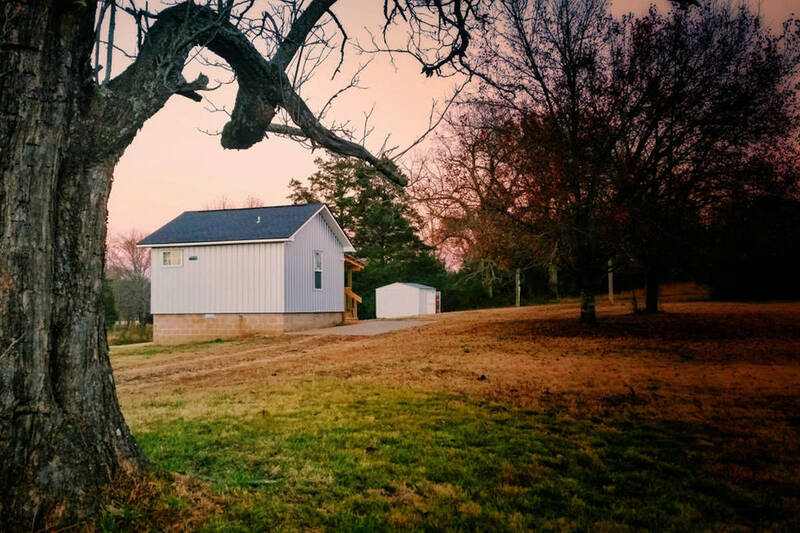 This $75-a-night log cabin an hour outside Nashville looks like something out of a magazine. 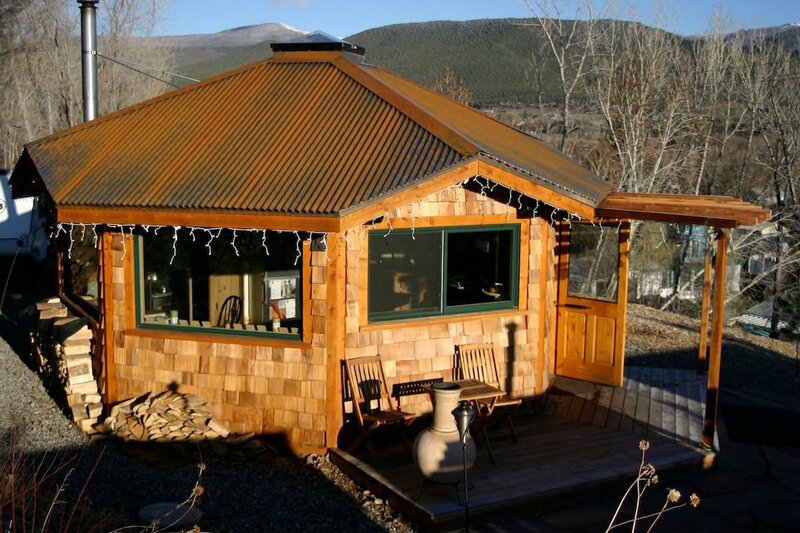 With a wood stove, NO internet and limited cell service, it sounds like the perfect place to escape with your honey. 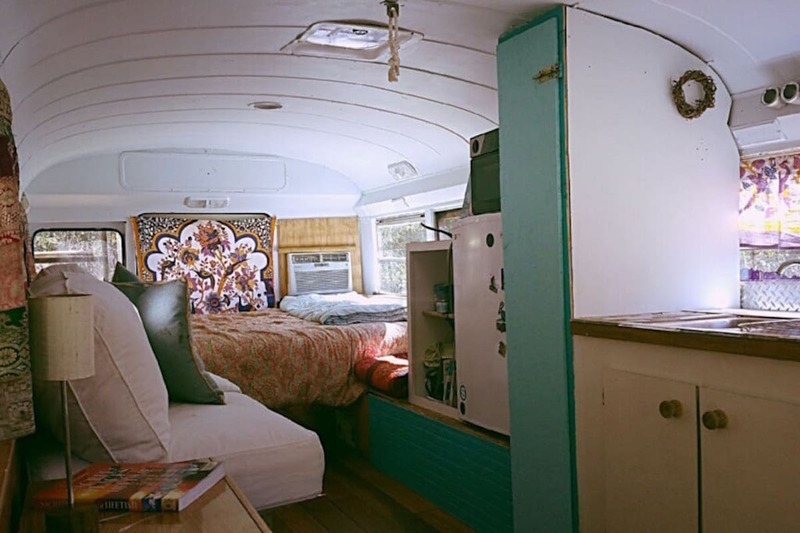 This tiny travel trailer is proof that not everything’s bigger in Texas. But it’s so adorable, it doesn’t matter. You’ll get wifi and a sink (!) within your humble abode, plus access to deck chairs, a pool, grill and private bathroom. It costs $50 a night and is located within walking distance of downtown McKinney. When else will you have the chance to stay in a traditional Navajo earth and log cabin? This “Hogan” can accommodate six people and is close to the Navajo Tribal Park. 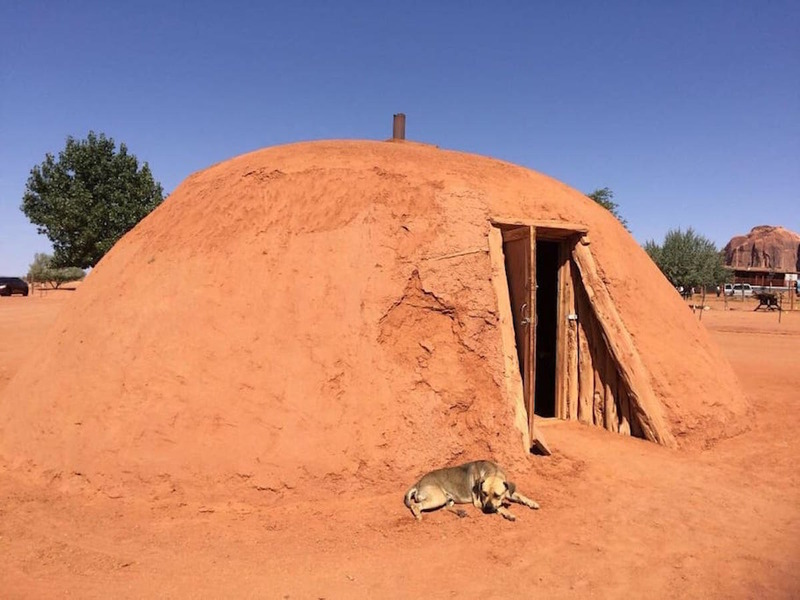 The hosts note it’s not luxurious — but is rather “an opportunity to connect with Navajo way of life and culture.” At $65 a night, it seems like a pretty cool experience! If you haven’t figured out my obsession with goats yet, you will now. 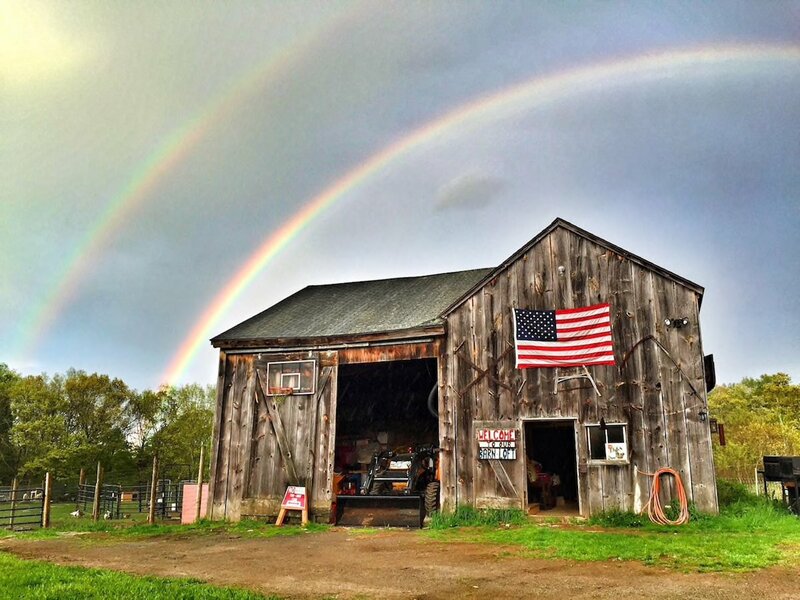 This huge barn in Goshen is on — you guessed it — a goat farm. But even if you somehow don’t like goats, you’ll like this $50-per-night listing; it has a basketball hoop and ping pong table in the loft, and a tennis court outside! The Blue Ridge mountains are gorgeous, and this $59-a-night teepee in Fairfield has some pretty epic views of them. And don’t worry, you’ll be comfortable: There’s a Sleep Number bed and a Keurig inside! 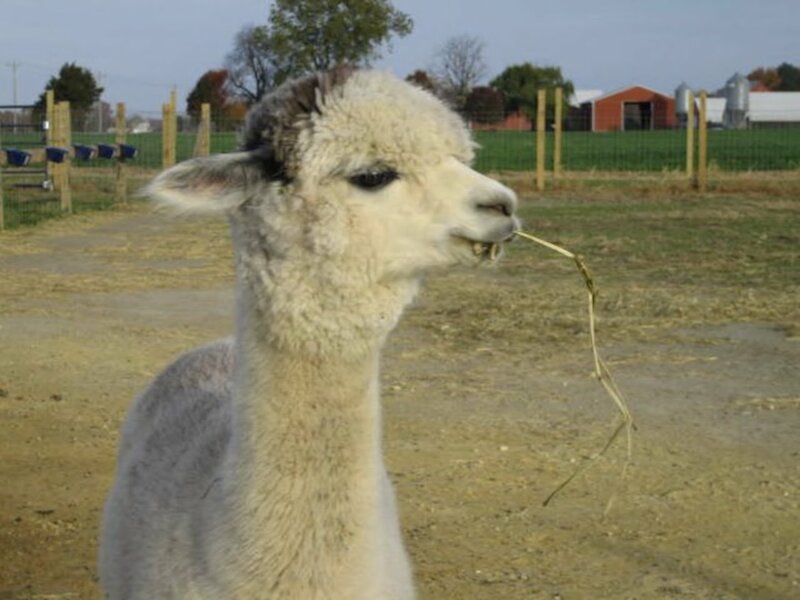 You’ll also have the opportunity to roam the 200-acre farm and say hi to the horses, llamas and chickens. There were so many unique listings in Washington — and an unbelievable number of stunning tiny homes — but, of course, the treehouse won my heart. 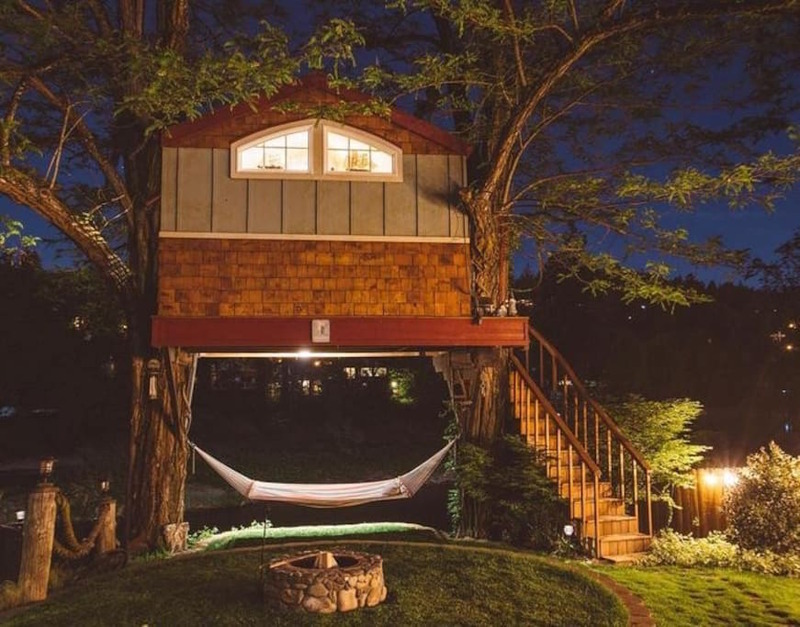 For $95 a night, you can stay in this TOTALLY baller cabin-in-a-tree on the banks of the Washougal River. It’s located in Shepherdstown, costs $59 a night and can accommodate three people. Want to stay in a British pub — without leaving the country? 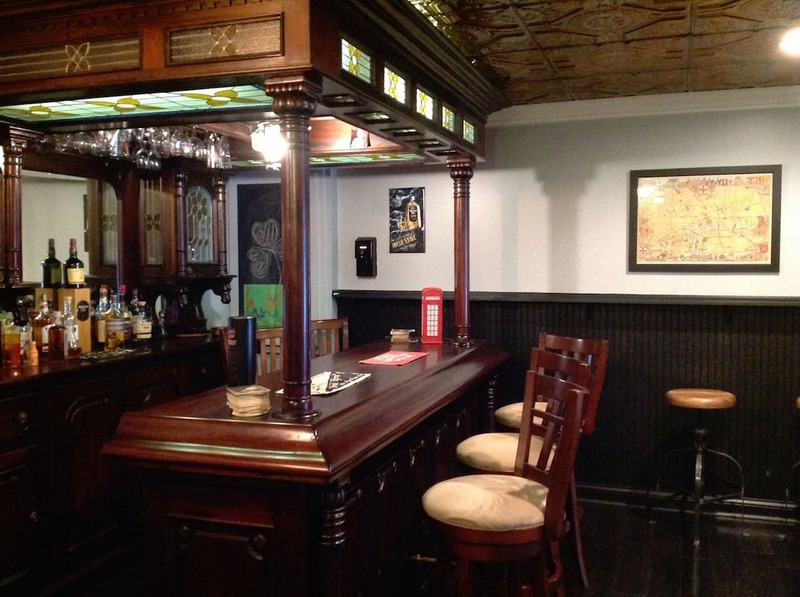 This private basement pub is what you’re looking for. Located in Hudson, you can stay here (and enjoy a pint!) for $60 per night. Stay in this canvas tent near Cody and, for $85 a night, you’ll enjoy the luxury of a real bed, wood stove and rocking chairs. Although outdoor facilities are available, you’ll also be welcome to use the bathroom inside the house. Your Turn: Which one of these fantastically fun and unique Airbnbs is your favorite? Susan Shain, senior writer for The Penny Hoarder, is always seeking adventure on a budget. Visit her blog at susanshain.com, or say hi on Twitter @susan_shain. Associate video producer Teyonna Edwards and editorial intern Jacquelyn Pica also contributed a mansion’s worth of research to this post.